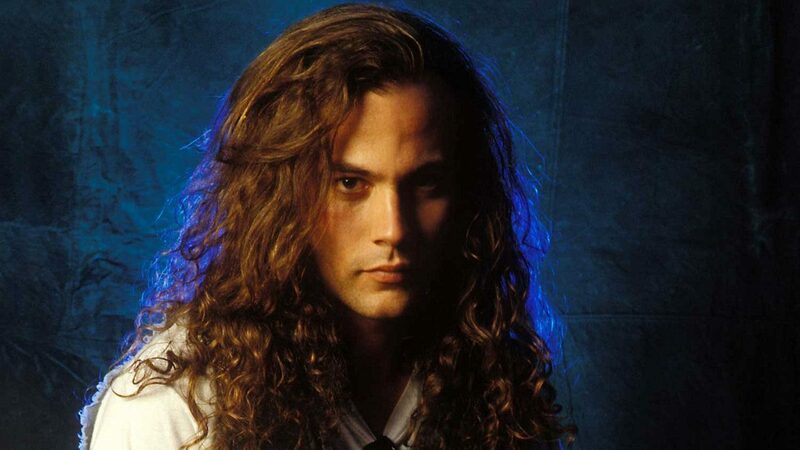 Mike Starr was an American musician, best known as the original bassist in the Seattle grunge band, Alice in Chains. A long term heroin addict, he appeared on the TV show Celebrity Rehab with fellow recovering junkie Mackenzie Phillips. It seems that Mike was unable to turn his life around. On 18 February 2011 he was busted for alleged drug possession in Salt Lake City . Putting two and two together I would expect his death on March 8 2011 was drug related. Mike had his Sun at 14 degrees Aries, so when he died, Saturn was opposite his Sun, Jupiter approaching it, and the January Solar Eclipse was square his Sun. Even without the time of birth, we can still see he would have been feeling the depressing influence of Saturn opposite his Sun. His Sun is actually on a nice star, Alpheratz in constellation Andromeda, “The chained Woman”. For Mike this was his Alice in Chains. Ebertin found that Alpheratz with the Sun can lead to “becoming well known in public and popularity with the masses”, but also that they “can easily become unpopular and can be toppled over”, especially when hit by transiting Saturn . Drug addiction and especially heroin addiction, is commonly a response to chronic depression, it masks some pain that is the cause of the depression. In Mike’s chart this is so obvious. Mercury retrograde conjunct Saturn gives the depressive thoughts. Chiron conjunct these planets made these negative thoughts about the deepest wound in his soul, and in a vicious circle, these negative thoughts also became his deepest wound which sadly he could not overcome. Even the trine to Neptune shows the easy way out of the depression, the escape route through drugs. 2. Fixed Stars and Their Interpretation, Elsbeth Ebertin, 1928, p.13. Hmm.. my moon is 12 Aries and Sun 13. I don’t think I’m going to die. Things aren’t easy but I think I will prevail. Well you’re already passed the Saturn test Margaret, Saturn is almost at 16 Aries now. …then it will hit again when it goes direct.., so is the first hit the worst? Great interpretation….I like your “Alice in Chains” analogy. His Sun is actually on a nice star, Alpheratz in constellation Andromeda, “The chained Woman”. I noticed a Neptune / Venus square from his 8th House of death. I allow up to 7 degrees orb for those planets, so it is no surprise that drugs had contributed to his death, Neptune is the planet of chemicals, drugs and addictions. On a more positive note Fine Art and Music. As a musician, also having Neptune/ Venus square, my Neptune at 14 Libra…..It is quite a common combo for musicians. Unfortunately too many turn their Neptune influence to drugs rather than use it for their imagination in their songwriting and instrumentation. Yes, we’ve noticed that too about Venus Neptune contacts and musicians. I guess the other aspects to those planets influence the outcomes, for example Mike had that tight quincunx from Mars (danger, thrill) to Neptune drugs. Right. Mars can be very dangerous and way too impulsive. In quincunx to Neptune he’d be unable to curb his impulsive urge to use drugs. The Neptune Venus square just adds to the social structure hanging in with drug culture. Other indications like the Quincunx as you point out only fuel the fire to his drug exposure and inability to turn away from it all. Hi Jen, I always used to think the retograde hit was the most significant. But now I think you have to look at all the others transits happening at the same time. Given that, I would think this Saturn retro one would be the strongest because of it being opposite Jupiter and square the January solar eclipse. All the best, hang in there. @Jaime I believe the first transit is not better or worse, but if you don’t understand the lessons the first time around, they will be reiterated even louder. I would suspect that Mr.Starr, felt that his self expression was very limited, and believe me, for an Aries, this is not a good thing. Especially, since his Mars is conjunct his Sun, he probably had quite an explosive disposition… Also with Neptune in Scorpio (one uses drugs and alcohol as almost a re-birthing process) inconjunct with his Mars, and Sun inconjunct Uranus, he would act out disappointments with regards to restrictions/ limitations in a very Uranus (unconventional/ unusual) / Neptune (escapism / illusions / drug & alcohol abuse) type way, example heroin use. I would suspect that the recent eclipse, which was in the Cancer Capricorn axis, correct me if I am mistake, would have caused him to be upset because there was something he emotionally wanted to do but felt unable to, maybe he was truthfully trying to quit, but decided he wasn’t emotionally prepared to let go, and with this eclipse opposing and / or conjuncting Jupiter his natal, it made the issue seem so much bigger than what it truly was. My Sun is bang on this fixed star, I for one, am very excited!!! I hope your right Larisa about the first transit. I had Pluto square my about 6 weeks ago, that bit me on the bum, two more to go this year. Hopefully being more prepared also helps. You’re right about limited expression with Mercury Saturn too, maybe his music was a way to deal with that. Alpheratz has been coming up a bit lately, I want to write more about it one day, do some research on people with planets on the star. I have a feeling it may be linked to creativity. Maybe this is true, regarding Alpheratz and creativity, that would be a very interesting to read! As for your lessons, Pluto does have to do with claiming your power. Maybe power issues with men of authority or your father. A Square would indicate even more delays with regards to the lesson, sorry to say. So whatever agrument or debate you had 6 weeks ago you are probably still thinking about it. But with Pluto’s involvement this would indicate, once the transit plays out, that you will feel changed for the better, almost like whatever this argument or problem was needed to finally be drawn out and dealt with. It really depends which house and sign those planets fall into…Well we know Saturn is in Libra, so your Pluto is in Sagittarius or Capricorn? Let me know I would love to try and help! Will definitely be writing up on Alpheratz Soon, not only is Jupiter on it opposite Saturn, but Mercury stations direct on Alpheratz next month opposite Saturn. The issue with Pluto square my MC was twofold. The MC one was being challenged by other astrologers about my techniques, and me challenging them about theres, mainly on private Facebook forums. I think I dealt with that by leaving the forums and concentrating on my work. The other issue is more personal, about the IC and where I live. I want to be able to take the kids to England to spend more time with Marina. Tried getting the kids’s mom to sign passports and it was looking good, but on the day of Pluto square my IC she reneged. When Pluto was exactly square my Sun a few years ago, I was in the Federal Court filing for full custody, which I eventually won. Even with full custody, the mom still has the veto on major changes in their lives. So this issue will be revisited later when Pluto strikes again. May end up going back to court which will be expensive and probably on with limited success. Obviously all this causes strain on the relationship with Marina. You can see my chart here: About Us. Great job by the way – Wonderful write up!! hi jamie and Marina, this is all so fascinating! I’ve got sun at 4 aries and moon at 15, and got off lightly with having to nurse elderly mum the last few days. It’s my daughter I’m worried about – she’s got merc conj eris at 18/17 aries; mars at 15 cancer making a t square with uranus 13 and neptune 16 capricorn, both retrograde. Oh and jupiter 5 leo opp saturn 6 aquarius,ascendant 15 aqua, sun trine uranus and neptune at 11 taurus, mars is trine (just?) pluto retr at 19 scorpio – which is itself the apex of a yod formed by venus 22 gemini and mars/eris – I’m v new to all this but reading what you wrote about mike starr taking ‘the easy way out’ gives me the shivers – my daughter took an overdose around the february new moon as a result of the wrong antidepressants and her boyfriend going nuts at her for moving away to uni. I was so staggered by marina’s ‘going gaga’ post that I mailed her about my feeling like ceres going into the underworld to get her daughter back.i couldn’t answer marina’s question whether either of us had anything at 14 degrees without a self taught crash course in astrology! The more I look at my daughter’s chart the more I wonder how she’s going to survive life,she’s always been sparky and impulsive but for now are there any danger points where i need to hang on to the phone? your aite has been a major mind expander! Wow Rachael, glad you got into astrology to understand what’s going on with your girl. Sometimes when I look at out kids charts I think that’s the reason we got into astrology too. Firstly with your Moon at 15 Aries, there is the responsibility for your mom, but your Moon is also your maternal instincts, therefore the Saturn worry and fears about your own daughter. Jupiter may be amplifying these effects. With your daughter, I’d prefer you got a 3 month forecast for her because it does sound very involved, complex and challenging chart. If you want to stick to working it out yourself, keep to the basics. Just look at what is being aspected right now. Don’t worry about her Jupiter opposite Saturn at the moment, it’s nor being triggered. Sun trine Neptune is not being triggered now. Even Mercury is a few degrees from being hit by Saturn. More important is her Mars opposite Neptune. Two reasons. 1st, the January solar eclipse was on her Neptune, and the Jupiter Saturn opposition square her Mars/Neptune opposition. 2nd, Mars opposite Neptune is the drug use. Mars is desire, thrill, danger. Neptune is escapism and drugs. The big positive here is her AC which is being trined by Saturn and sextiled by Jupiter. This can give you reassurance and faith. Saturn is responsibility and maturity, and assistance from people in authority. You can be the manifestation of transiting Saturn for her now and she will respond well to your advice. If not you then some other responsible older person she looks up to, dad, teacher, priest. Thanks so much, that reassuring and makes sense and yes, she is being looked after well by university and health system and responding to that! Thanks for advice about 3 month forecast too.